Appropriate allocation of your media buying budget can promise maximum returns on your investment. However, for this, you may have to find out who your target audience is and how they would like to be reached. Apart from this your budget also plays a major role when it comes to allocating the same across your media buying channels. 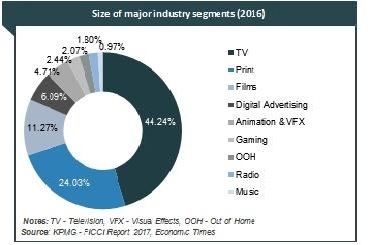 Television dominates the entertainment industry of India. When it comes to advertising, television holds the largest share of the pie. However, the rate of growth of TV advertising in the coming years would be much lower than that of internet advertising. When compared to the other advertising channels, TV advertising happens to be the most expensive. Nevertheless the kind of viewership the medium promises through its 800 odd channels, can actually justify this expense. In spite of the rapid growth in digital advertising Television is here to stay for many more years to come. The key is to keep your ads short or buy local TV sponsorships/billboards. 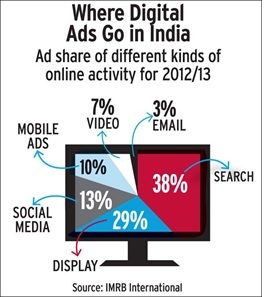 Digital advertising is another medium that you need to concentrate on while allocating your media buying budget. Digital offers various ways to advertise for brands to establish their presence online and also promote their offline presence. There are search ads, display ads, social media ads, mobile ads, video ads and email marketing campaigns. You can come up with the right digital marketing strategy after considering your target audience and the nature of your business. There are many ways to increase your visibility and improve your conversions through digital advertising. While a few of these are paid methods, there are also free ways to do this. Moreover, you can optimize your pages according to the screen sizes used by your target audience. You can also analyze their behavior over the internet and personalize your strategies to meet their expectations. The best part of digital advertising is that it helps you measure your campaigns against different metrics. So, it becomes easier to change your approach in order to optimize your returns. Print is one medium you cannot ignore when it comes to advertising. The rise in literacy rates and the growth in population coupled with an increase in the income levels are leading towards a significant expansion in readership and circulation across India. The entry of big players into the regional market is only going to add up to this. By creating creative and compelling copies you can reach out to millions of audience through print advertising. To make it cost-effective you can choose to advertise in local and community newspapers that are most likely to be read by your target audience. You can even think of integrating your advertising strategies. You can upload your TV ads on the video channels of the internet such as YouTube, Vimeo, Instagram, Veoh and so on. The articles that you publish in print can also be put online through newsletters and press releases so that your target audience will be well-aware of the latest about your company. Do your research and find out the best way to allocate your media buying budget. The aim should be to achieve your goal in the easiest and the fastest way possible. If you have any doubts about the same, feel free to post them in your comments. As a professional media buying agency, we will be glad to address them for you.